In recent years, streetwear has experienced a paradigm shift: a shift that has corresponded with the emergence of sportswear as an integral part of the streetwear culture and style. One beneficiary of this rise in sportswear as part of the fashion space has been the futbol kit. The futbol kit has been unmissable in popular culture of late. 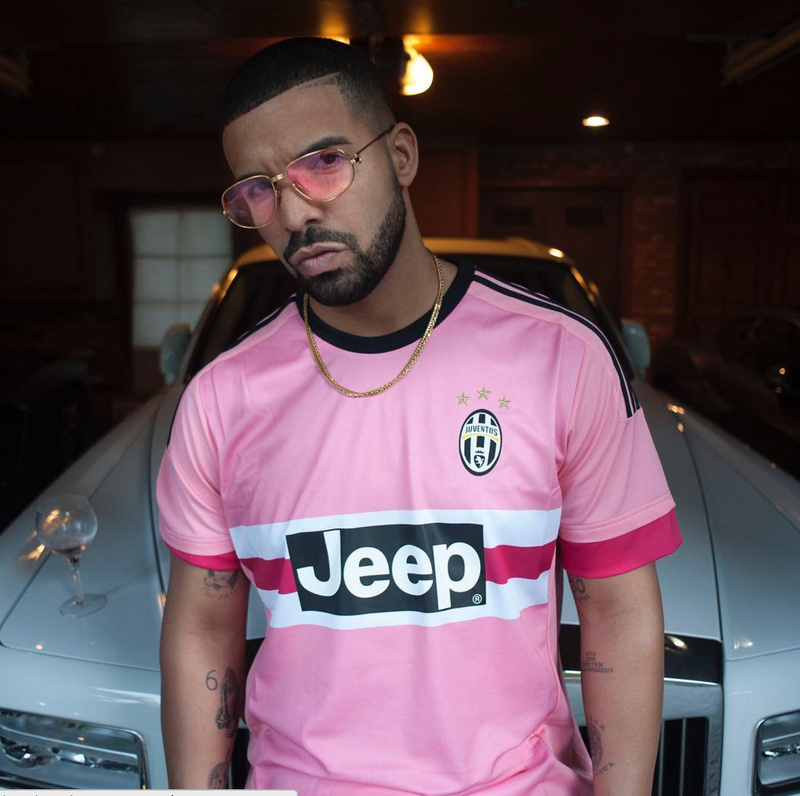 From celebrities such as Drake sporting the now-iconic pink Juventus kit, to major collabs between teams and brands like PSG x Jordan – the futbol kit has taken on a new identity. The evolution of the futbol kit in fashion is intriguing, but if we draw back the curtains, we’ll find that this was all but inevitable. it into its culture. Streetwear has always been a result of the external influences of popular culture and movements. Naturally, as sports and the economics behind them grew, so did their influence on the culture. Think back to the days of Michael Jordan, one of the first real global athletes. A brand more than a man, one could say. Jordan was a pop culture phenom – and his Air Jordan brand even more so. Remember the hype around those first Jordan 1’s when they dropped. No one had seen anything like it. Since then, sports attire like basketball jerseys, varsity jackets, and baseball caps have been a mainstay of streetwear style. Part of what made sportswear so iconic was the impact of cultural icons, specifically in the Western world, and their style choices. In the 90’s and early 2000’s, it was impossible not seeing your favorite rapper rocking their favorite team or player’s gear. Think Ice Cube in the Oakland Raiders New Era or Jay Z repping the Yankees. More recently, Kid Cudi and his affiliation with Cleveland sports. These were the catalysts of some of the biggest trends in streetwear. Futbol, at the time, didn’t have a place in that culture yet. But thanks to the rapid economic and commercial growth of the beautiful game, that has changed. & Paul Pogba are not just players. These are influences, cultural phenoms, influencers, and fashion icons. Like the impact Jordan made, futbol players are now household names. The global rise of the appeal of the game and the player have inevitably created waves in popular culture – and voila, streetwear. 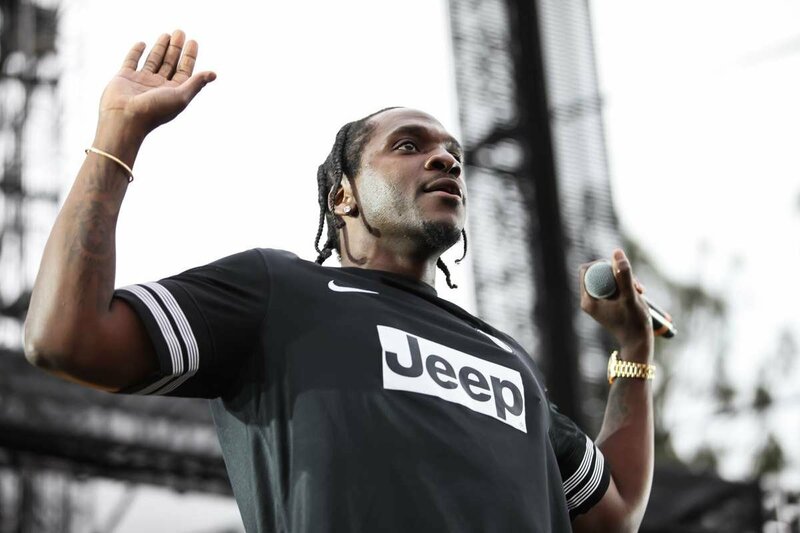 In the same way Will Smith was rocking an Allen Iverson jersey, we now see icons like Drake, Pusha T, and Gunna wearing Juventus kits. 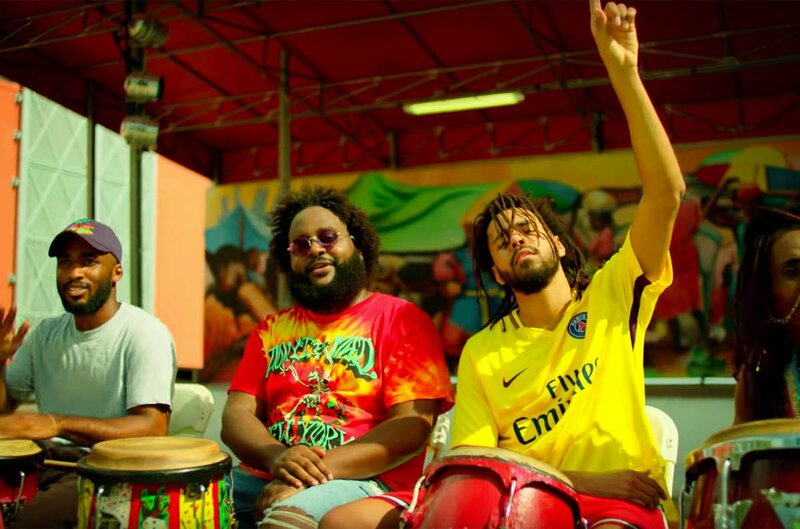 We see J Cole repping a PSG away kit in Bas’ music video Tribe. And of course, one can’t forget the hype around Stormzy repping a Pogba kit for his Manchester United unveiling. Coupled with the influence of celebrities, has been established streetwear brands and their collaborations with futbol teams and apparel. 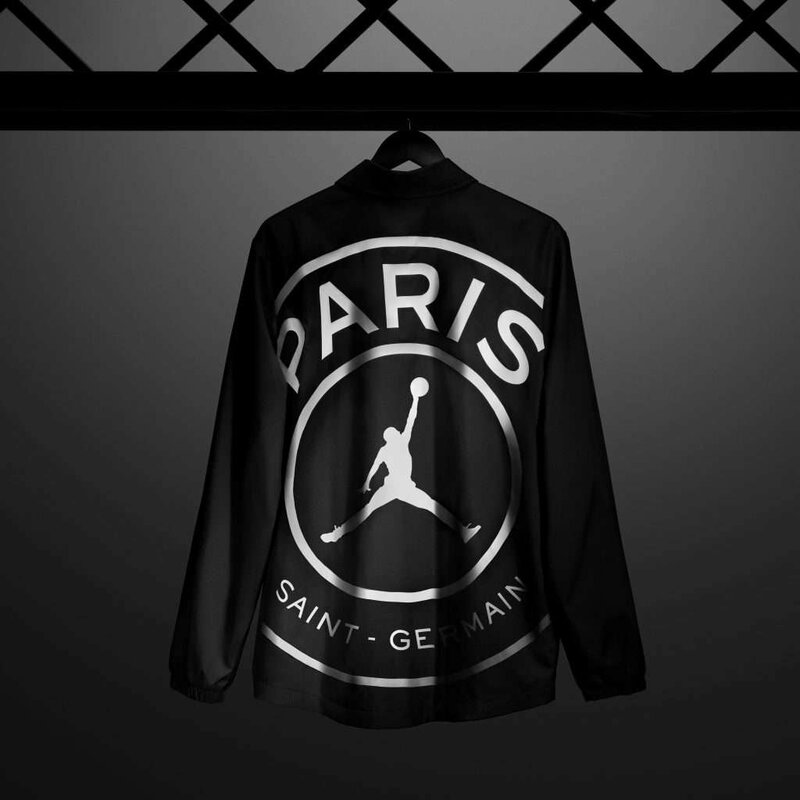 The recent collab between PSG and Air Jordan sold out in a matter of minutes upon its release. That’s even crazier when you realize that Air Jordan is first and foremost a basketball brand. Other streetwear juggernauts such as Palace, KITH, Neighborhood, BAPE, and Supreme have all come out with their own collections in recent years – some collaborating directly with futbol apparel brands such as Adidas & Nike. Futbol apparel-makers have themselves joined in on the hype. 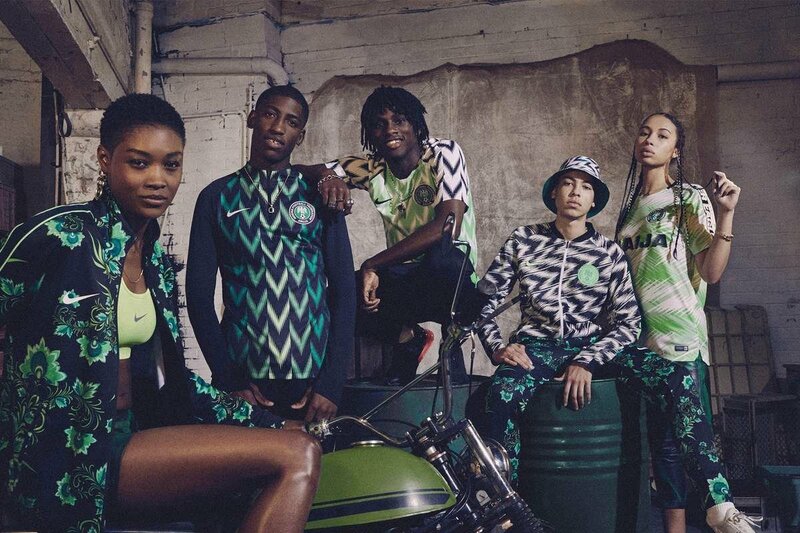 Nike released one of the most sought-after kits and streetwear accessories in 2018 in the form of the Nigeran national team’s home jersey for the 2018 World Cup. While the futbol kit will forever have a home on the pitch during a rainy Sunday at the Emirates, it now also finds its places in other aspects of society. It's undoubtedly ingrained in this new wave of streetwear, with a connection synonymous to popular culture. These days, you can find the futbol kit on rappers and hypebeasts alike. You can find them in concerts, on runways, and on the streets of Fifth Ave. The futbol kit’s impact on the streetwear should continue to grow and evolve, just as the culture around it does.